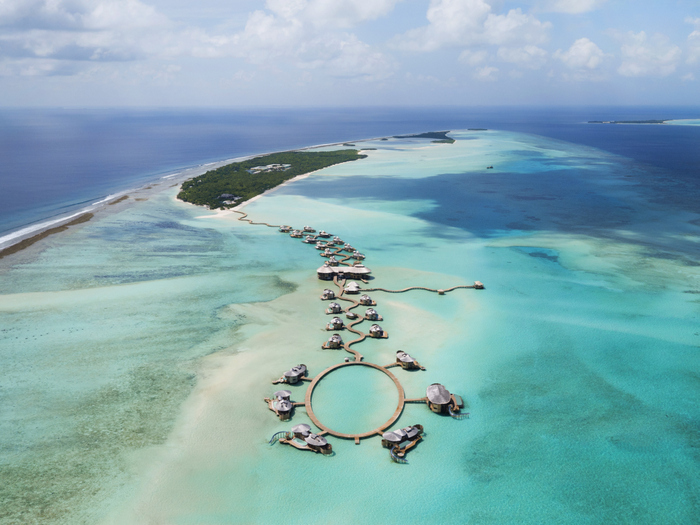 Soneva Jani has been crowned Leading Luxury Hotel/Resort in South Asia and Leading Luxury Hotel/Resort in Maldives. 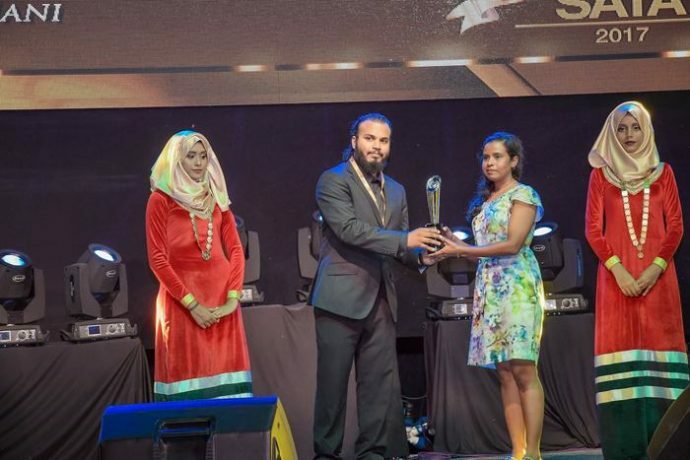 At the South Asian Travel Awards (SATA) Gala and Awards ceremony held at the Equator Village in the southernmost Maldives atoll of Addu on October 28, the awards were received by Fathimath Shaazleen, Resort Manager at Soneva Jani. Opened in December, Soneva Jani is Soneva’s newest property and its second resort in the Maldives. Since its opening, Soneva Jani has created a lot of buzz amongst luxury travellers with its exciting features such as the retractable roofs and the water slides. It has been named the Best Over-the-Top Luxury hotel of the year by Jetsetter.com and the best new resort in the world by CNN. Soneva also runs the iconic Soneva Fushi resort in the Maldives. The SATA 2017 Gala Retreat was held at Equator Village in Addu. The retreat was stretched to three days starting Friday, with SATA Opportunity networking event, SATA Gala and Awards ceremony, and a tour of Addu for the participants. More than 414 nominations from the Maldives, India, Sri Lanka, Bhutan and Nepal were received for the 39 categories included in this year’s edition of SATA. Online voting and judging by a panel of experts concluded in September. Top hospitality brands operating in all the participating countries competed for the awards, with India represented by The Leela, Thaj Whitefield, Forest Canopy, Intersight, Mulberry Holidays, Holiday Kerala, Courtyard Marriot, Fragrant Nature, Sheraton Grande and Spice Jet. Sri Lankan brands that vied to be recognised at a regional level include Cinnamon Hotels, Movenpick and SriLankan Airlines. Shangri-La, Barahi, Mulberry, Himalaya Airline, Annafurna and Tashi Namgay Resort competed from Bhutan and Nepal. Brands that were nominated from the host Maldives include Soneva, Amilla Fushi, Jumeira, Villa Hotels, LUX*, Adaaran Resorts, Voyages Maldives, Inner Maldives Maldives, Cocoon Maldives, John Keells Maldives Resorts, Summer Island Maldives, Embudu Village and Maldivian Airlines. Launched last year by Maldives-based event management company Highrise, SATA has been endorsed by regional tourism authorities and organisations, including the Federation of Chambers of Commerce and Industry in Sri Lanka (FCCISL), Colombo Chamber of Commerce (CCC), Maldives Marketing and Public Relations Corporation (MMPRC), Maldives Association of Travel Agents and Tour Operators (MATATO), Confederation of Associated Tour Operators (India), Association of Travel Agents (ATA) Maldives, Association of Travel and Tour Operators India (ATTOI), Association of Professionals in Tourism (APT, India), Kerala Hotel General Managers Club (KHGMC), Nepal Tourism Board (NTB) and Liveaboard Association of Maldives (LAM).